Guard yourself from splinters and your clothes from snags by carrying your wood in a Minuteman log carrier. The carrier is 28 inches long and 16 inches wide, giving you room to carry a few logs at a time. The open-ended carrier will fit into the cradle of a log stand-also offered by Minuteman. 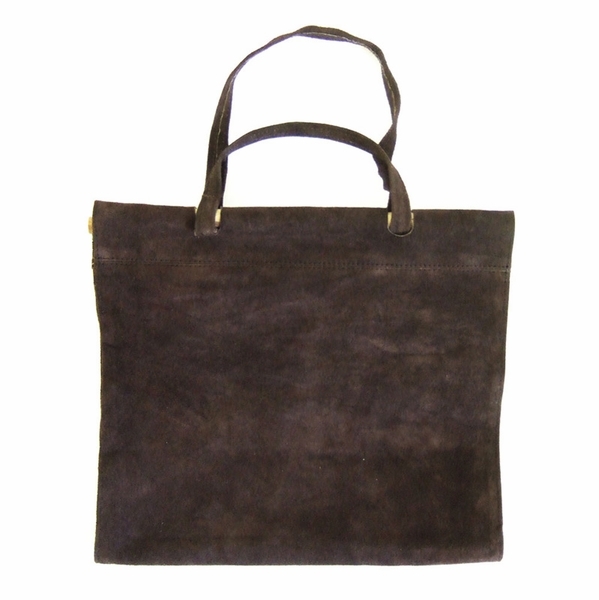 If you've been looking for a way to transfer small amounts of wood into your house from your larger supply outside, try this dark brown, suede carrier from Minuteman. The earthy tone will blend well with the wood colors and hide stains.